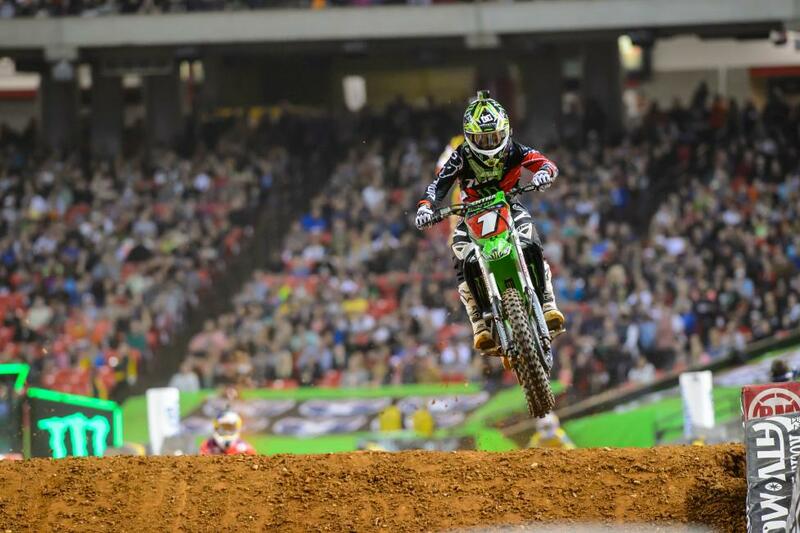 Post-Atlanta signifies the halfway mark of the 2014 Monster Energy Supercross season for the 450 class (technically it'll be ten laps into next weekend's race in Indy that marks exactly halfway, such is life splitting the odd number 17 in half). 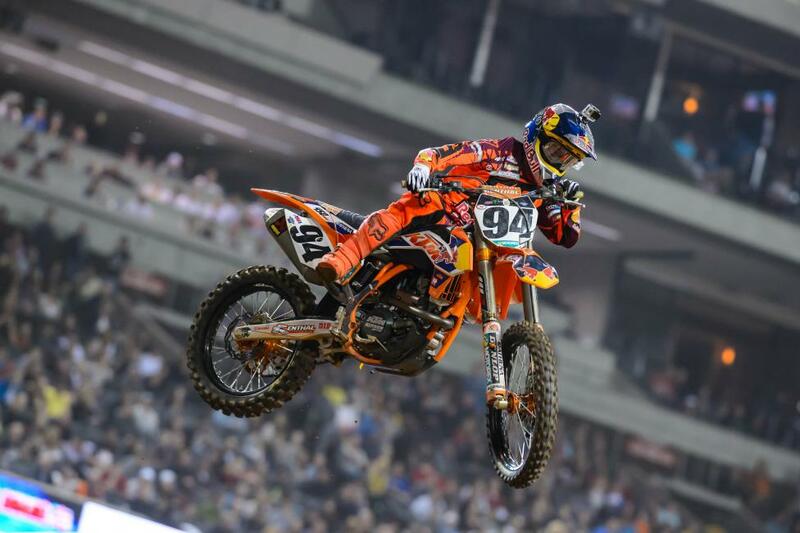 As irony would have it, the situation on the track somewhat mirrored the scene from the Anaheim season opener: Red Bull KTM rookie Ken Roczen was on the verge of taking the lead following a mistake from three-time defending champion Ryan Villopoto. Another parallel between Atlanta and A1 was that Yoshimura Suzuki’s James Stewart came into the race as a favorite to win, and looked capable of doing so, but unfortunately found the ground instead. A lot has transpired through eight straight weeks and 160 laps of competition. There have been pleasant surprises; Roczen’s season opening victory, Chad Reed’s inspiring return to winning form and Justin Brayton’s assertion into the top five. Conversely there have been pitfalls; Reed’s heartbreaking injury and subsequent removal from the series, in addition to more injuries to riders like GEICO Honda’s Eli Tomac, Toyota/JGR Yamaha’s Josh Grant and Monster Energy Kawasaki’s Jake Weimer. There are also a lot of other guys who are banged up. Motosport.com backed Suzuki rider Weston Pieck has crashed as hard and as frequently as any racer in the top 15, but has those back-to-back top five finishes in between huge get offs and swollen ankles. You can throw GEICO Honda’s Wil Hahn into this category as he has been riding with a battered throttle hand since Anaheim 3. Last week was the first time recently that he was able to practice and it showed in Atlanta. He was super fast all day and raced to a career high fourth place. Perhaps no pair of riders has been through more adversity than Soaring Eagle Casino RCH Suzuki teammates Broc Tickle and Josh Hill. Some may have to search for sympathy for these two as they are riding on arguably the sexiest team in the pits, on factory equipment and coached by the GOAT. This considered, Hill has displayed tremendous fortitude by racing with a freshly plated collarbone and putting his #75 Suzuki in the main events since the injury. As for Tickle, it seems like he has been taken out by about half the field rather in heat races or main events, and has had big crashes of his own. The North Carolina born entry has persevered to post back-to-back 7th place finishes and sits 10th in points. He looked faster than ever in Atlanta. Be that as it may, both RCH riders face higher expectations for the second half of the series. Then there are the red riders. Muscle Milk Honda’s Justin Barcia has struggled and just when things looked to be on the rise, he crashed in practice and missed the main event in Atlanta. The other rider on a factory Honda, Eli Tomac, got injured at the opener and since his return has been the biggest question mark of the year. Honda hasn’t won the SX title since 2003, and only have Barcia’s lone Arlington podium to boast in 2014. The injured Trey Canard should return in a few weeks, and better days lay ahead for American Honda. All things considered, it has been hard to ask for a more competitive first half. There are four racers with two wins and only nine points separate Villopoto from Roczen atop the standings. However, consistency has once again prevailed and for now it looks like we have a two-man race for the championship heading into the second half of the series. And those two men are riding and training partners! At this point in the season last year, Villopoto went on a five race winning streak, basically putting the title to bed. With Stewart and Roczen winning races and proving time and again that they can match his speed, I don’t see that feat repeating itself. To that end, the story to watch in the second half could be Roczen’s. His win in Atlanta further proved two things: His opening round victory was no fluke, and he is in this championship to win it. The following seven rounds will decide if the German can not only keep pace with RV, but eradicate the nine point deficit and hoist the #1 plate in Las Vegas. Considering the way things went in the first half of the season, it certainly looks possible, doesn’t it?